Brooklin Fry (right, crouched) is the day one leader of the Junior Women's Championship. 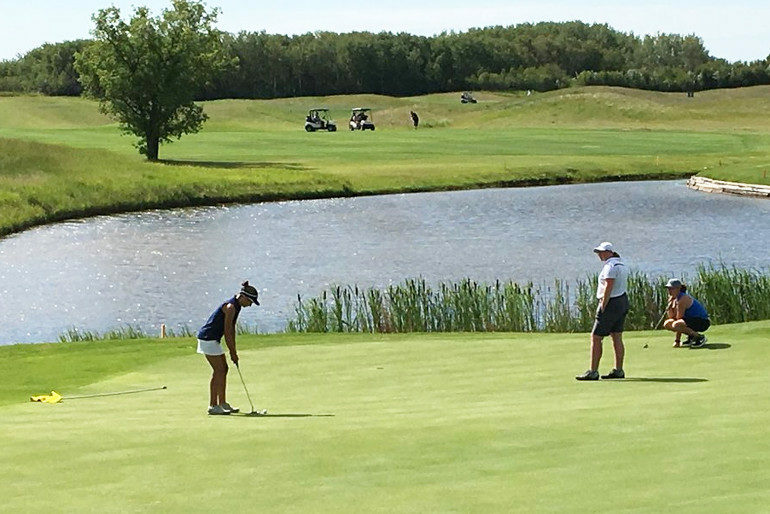 Shell Lake’s Brooklin Fry seared her way through round one of the 68th Saskatchewan Junior Women’s Championship Monday posting an 83, one stroke better than Deer Valley’s Carey McLean. Fry double-bogeyed hole three at the Moon Lake Golf and Country Club but still carded a six-over par 42 on the front nine. She was sitting at just one-over par on the back nine heading into hole 18 but got into trouble, eventually hitting 9 to finish the day at plus-11. McLean shot an 84, Alexandra Schmidt sits in third place after shooting 85 on her 18th birthday. Lauren Fox is in fourth place at 14-over par; Sarah Grieve carded an 87; Ray-Lyn Schmidt is tied for fifth with Grieve at 87. Ella Kozak sits in seventh place at plus-16; Veronika Duchscherer shot 94; Autumn Neiszner sits in ninth at plus-28. Tenesha Pompu withdrew during the opening round. 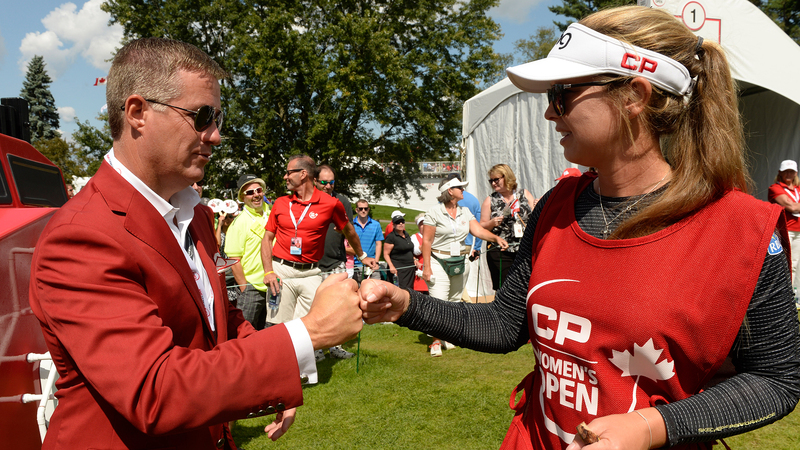 The junior women tee off for the second round of the 54-hole championship at 11 a.m. Tuesday.